Black Knight is the third book in The Inventory series that follows Dev and his friends as they protect the world from dangerous inventions and those that seek to use them. 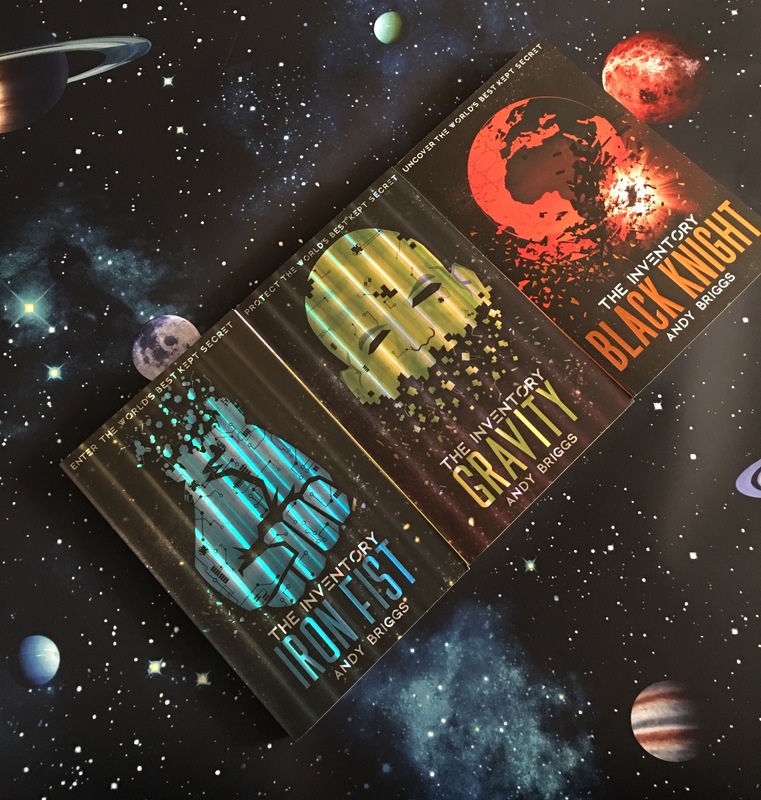 You might remember me taking part in the blog tours for Book one – Iron Fist, and Book Two – Gravity. Author Andy Briggs has kindly returned with a guest post on writing sequels, and I’ll share my thoughts on Black Knight too. The Inventory is my third series of books. 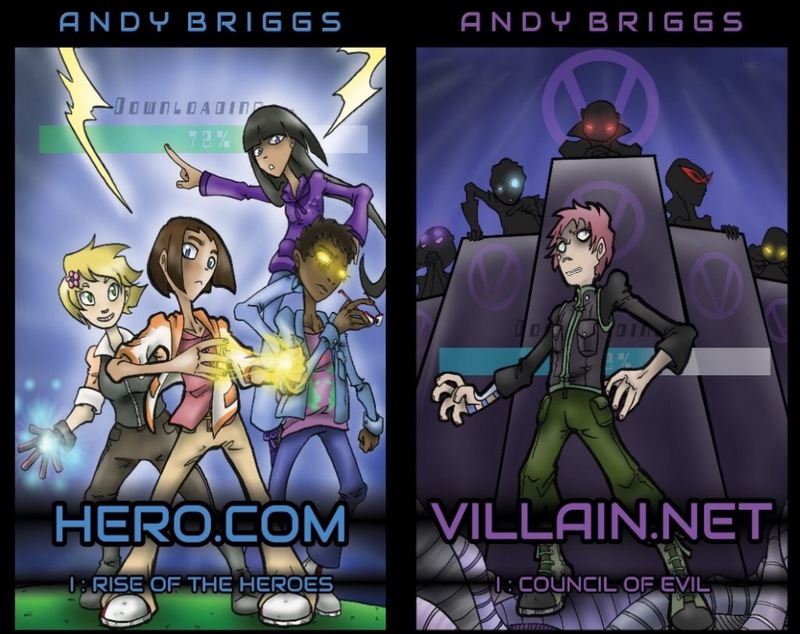 My first venture was the HERO.COM and VILLAIN.NET series, and they were a huge leap into the unknown for me. I hadn’t written a serial before and this one was effectively two separate series – one hero, one villain – in which each book in the series happens the same time as the other. Effectively two parallel series in which characters and plot points crisscross from book to book. And there were to be eight books all together! It was a nightmare to plot and I ended up with a huge map on my wall that looked more like a subway map, the interconnecting lines were individual character arcs bisecting at key plot points. It had turned from a book into a science project – but amazingly, it worked! 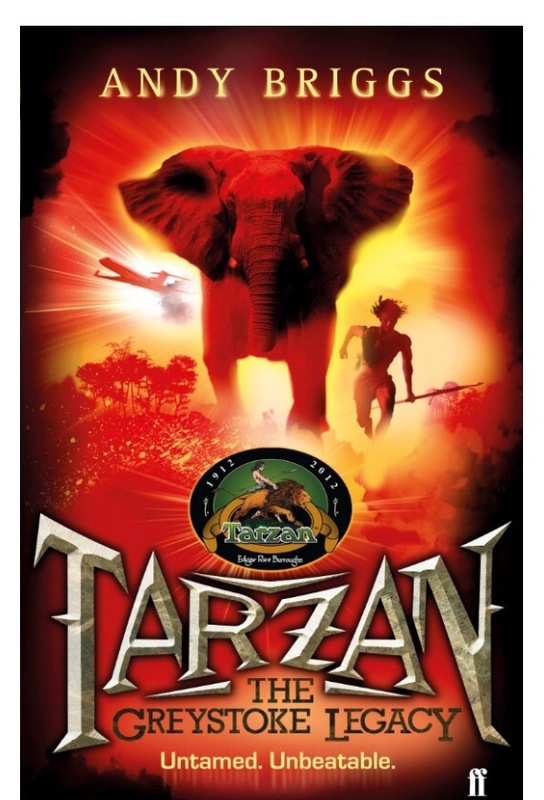 Tarzan came next. I thought this would be an easier series to plot as I had the weight of Edgar Rice Burroughs’ legacy to fall back on. However, that also made it a difficult challenge as there was a huge fan base that were very protective of the beloved character. The challenge was to create a new Tarzan that also felt familiar. That was a huge challenge I hadn’t bargained for. When it came to the Inventory, I was delighted to once again have a blank canvas, something I hadn’t had since Hero & Villain. It was a breath of fresh air to be able to create new characters, with their own flaws and quirks, and not have to be guided by the past, and having a more linear series fused the best of both my previous series experience into one. Andy has extensive experience working on multinational co-productions and has worked in comics, books, TV, film and trans-media projects. 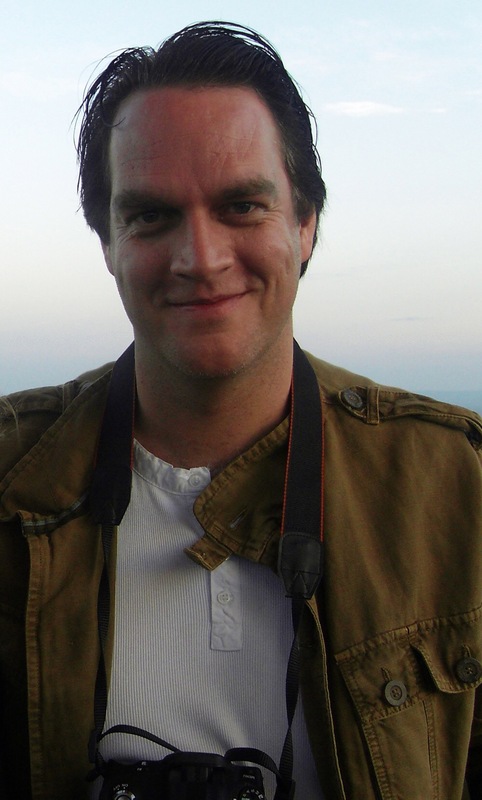 Andy wrote and Executive Produced Legendary, currently the most successful independent UK/Chinese co-production. Released in China and grossing $5 million in the first week, with a theatric US release in 2014. With his brother he worked on Hollywood features such as Judge Dredd and Freddy vs. Jason and TV shows for the SyFy Channel and Netflix. He wrote and co-created Secret Agents, a trans-media interactive spy experience for children, currently on at the Discover Centre, Stratford. He has 16 books and graphic novels published in the UK and around the world. 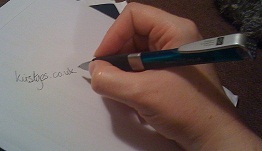 He has written 20 books and graphic novels published in the UK and around the world. In 2016 his latest feature, Crowhurst, will be released. Dev and his friends are back with more mind-bending tech in this third installment of the Inventory series. The World Consortium is recruiting more agents to defend the most advanced technology the world isn’t ready for, and it’s up to Dev, Lottie and Mase to train them up for action. But will they be ready before Shadow Helix’s next strike? And has Dev uncovered all the secrets of his past, or is there more to know about his special abilities? The playing field in Black Knight is spread wider still (we spend little time in the Inventory but the time that we do will have you on the edge of your seat…) and new players are added to the mix including more people Dev, Lot and Mason’s age. These new recruits are placed under the care of Dev and let’s just say not all of them like being bossed around, especially not by someone that keeps ‘spacing out’. Something strange is going on with Dev and his memory, when he keeps having flashbacks into someone else’s mind. The other thing that drives him to distraction is a boy who seems to have taken a liking to Lot. Personally I’m liking this development in their relationship and hope it continues next time. My favourite parts are generally those from Dev’s point of view. As ever the Inventory series is a fast paced thrilling read full of inventions and chases. There’s one particular chase that I really enjoyed, and I’m sure you will too. We also have a new enemy – one that has been around much longer, and that has a potential super weapon at its disposal. I won’t let on the ending of course only to say that…Cliffhanger alert! But that means there’s more to come and I know I’ll be reading on. Thanks to Andy for the story and Katrina at Scholastic for my copy of Black Knight. Opinions are my own of course. Check out the rest of the blog tour at the stops below. 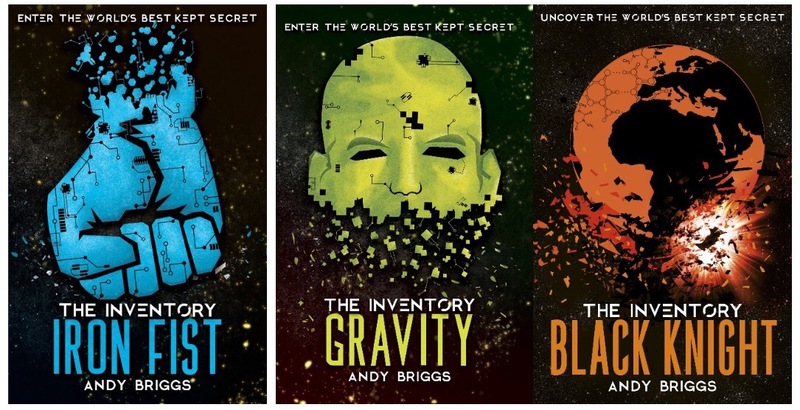 Posted on April 25, 2017, in Author Interviews, Book Reviews and tagged Andy Briggs, Black Knight, Blog Tour, Gravity, Iron Fist, Scholastic, The Inventory. Bookmark the permalink. Leave a comment.